The Marine Corps released additional rules to its tattoo policy last month, banning more places on the body where Marines cannot get them and setting tougher rules for officers. 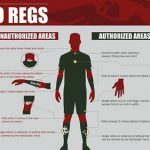 In addition to the already prohibited head and neck, Marines cannot get tattoos or brands on their hands, fingers, wrists or inside their mouths, according to Marine Administrative Message 29/10 released Jan. 15, 2010. Both commissioned and warrant officers are now limited to four tattoos or brands visible when wearing the standard physical training uniform, according to the new policy. 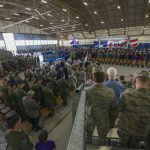 The policy’s intent is “to ensure Marines can be assigned whenever and wherever they are needed,” stated the message. The recent change helped to clarify the March 2007 overhaul of the Corps’ tattoo policy, which prohibited excessive tattoos covering arms and legs. “I believe tattoos of an excessive nature do not represent our traditional values. Some have taken the liberty of tattooing themselves to a point that is contrary to our professional demeanor and the high standards America has come to expect from us,” said Gen. James T. Conway, commandant of the Marine Corps, in a March 19, 2007, message. The new policy also clarified the size of any tattoos visible in PT uniforms cannot be larger than the wearer’s hand with fingers extended and joined and the thumb touching the base of the index finger. 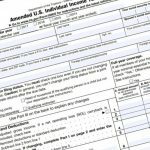 The 2007 policy was vague on the size, stating only that very large tattoos or collections of smaller tattoos covering all or most of a person’s arms or legs – also called sleeve tattoos – were unauthorized. 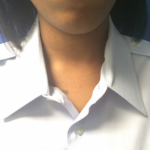 For officers, band tattoos wider than 2 inches are now prohibited. Enlisted Marines are allowed bands only as wide as one quarter of the arm or leg where it is tattooed as seen in the PT uniform. Band tattoos can either partially or fully encircle the circumference of the arm or leg. 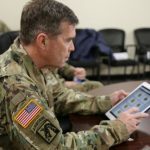 Additionally, any enlisted Marine who had grandfathered sleeve tattoos can no longer apply for any Marine Corps commissioning or warrant officer programs. In September 2008, Marines with excessive tattoos were banned from holding the special-duty assignments of recruiter and Marine security guard at U.S. embassies. Marines in those jobs “have a significant impact on public perception,” according to MarAdmin 494/08. 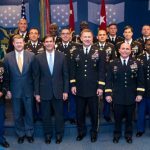 The recent message also reiterated that tattoos or brands continue to be subject to review in some cases pertaining to promotion, future assignments and training to determine if any might tarnish the Corps’ reputation. Any tattoos that are racist, sexist, drug-related, vulgar, anti-American or are associated with any extremist group or gang are already not permitted on Marines. The new policy also banned apparently invisible tattoos that use ultraviolet ink only visible under a black light. 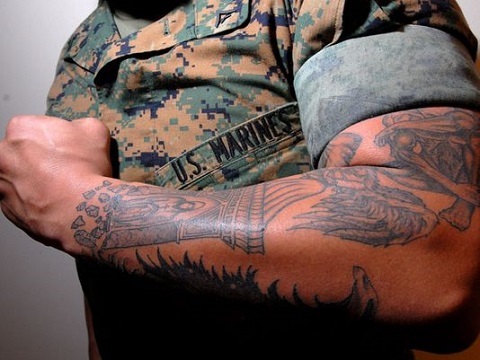 Marines who currently have any of the now-prohibited tattoos won’t face any punishment, but they must document the tattoos with photos in their service record books no later than June 1, 2010. Lance Cpl. Jakob Schulz contributed to this report.